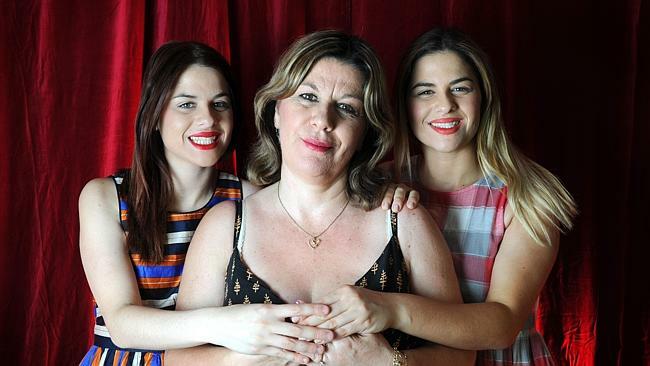 THEY’RE young, fun and obsessed with super-bright lippy, but MKR’s outgoing twins Helena and Vikki Moursellas, 25, have revealed a family tragedy which inspires their efforts in the competition. The sisters are cooking their trademark “Greek with a modern twist” in honour of their late father. “He passed away when we were 12-years-old,” Vikki said. “We’ve got heart disease in our family, so he suffered from a heart attack and passed away suddenly. Annie and Jason, NSW, cheesemakers: (Vikki) We love Annie and Jason. Traditional, country bumpkins. They’ve got beautiful hearts. Chloe and Kelly, WA, well-travelled friends: (Helena) One word, fake. Paul and Blair, QLD, surfer dads: (Vikki) We got very, very close to them, the older brothers we’ve never had. Deb and Rick, SA, married 38 years: (Helena) They were our MKR parents. Andrew and Emilia, ACT, newly dating: (Vikki): We felt so bad for them. They are really nice. He might come across as awkward but they’re great, humble people. Although they were young when he died, Helena said the pair have good memories of their father, and like to think he would be impressed by their efforts in My Kitchen Rules. 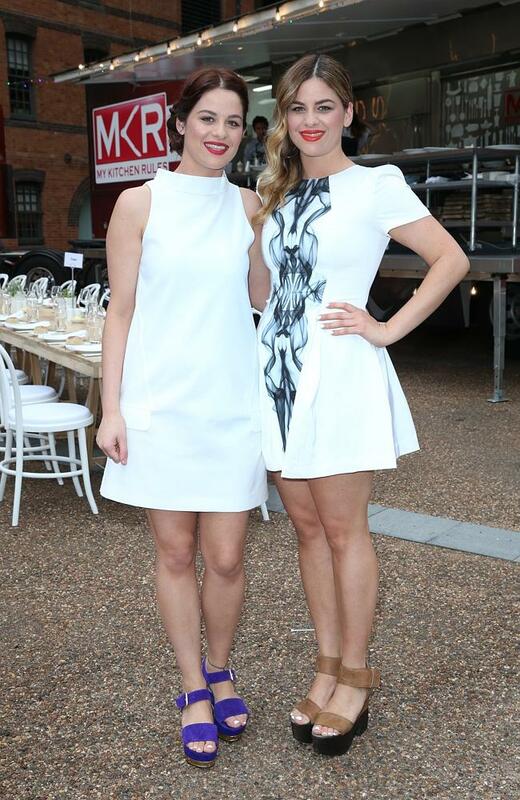 Helena (the brunette one) and Vikki (the blonde one) have burst into MKR’s fifth season brimming with confidence and catchphrases, such as “We got this” and the less-catchy, “t-winning”. Helena and Vikki grew up in Adelaide, with no other siblings. Mum Sophie says they were outgoing from a young age. The sisters moved to Melbourne a couple of years ago, where Vikki studied graphic design and Helena attended Melbourne Radio School. “We just felt like Adelaide was too small for us, not many opportunities (there) for us,” Helena said. The girls are well-travelled, although they don’t drop it into every conversation like WA competitors Chloe and Kelly, who have described Helena and Vikki as “not the sharpest tools in the shed”. Helena reckons the two teams share a love-hate relationship. “More on the hate side, as bad as that sounds,” she said. “We just clashed all the time. We’re actually very similar, we love to travel, we love food, and in conversations, we just tried outdoing each other. MKR, hosted by celeb chefs Pete Evans and Manu Fieldel, has been a consistent ratings winner for Channel 7 since it premiered in 2010. Last year’s final – which saw Dan and Steph declared the winners – was watched by over two million people.